After a relatively long pause, Microsoft finally released a new build for Windows 10 Preview. The build 15002 is available to Windows Insiders on the Fast Ring, but only for PCs. 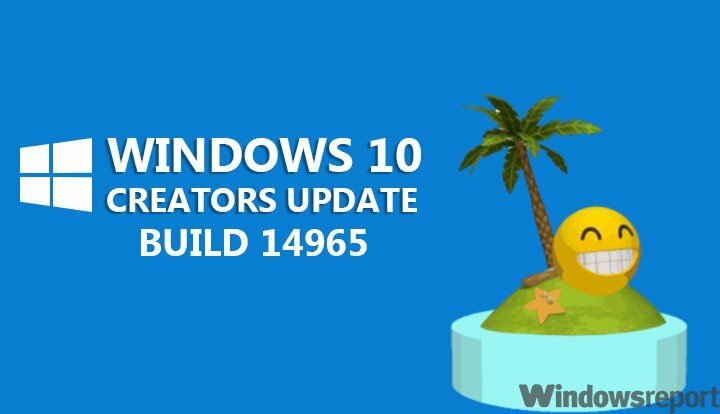 This is, by far, the biggest Creators Update build released, if not the biggest Preview release ever. Microsoft improved just about every important aspect of the system with this build. From Microsoft Edge to accessibility. Insiders who install build 15002 will be able to try new web payments in Edge, use improved Cortana, and see the revamped Start Menu. Besides all these improvements and new features, the new build also fixes some of the known issues in Windows 10 Preview but also brings its fair share of new problems. For the complete list of fixed bugs and known issues, check Microsoft’s official announcement blog spot. If you’ve already installed the new build, let us know about your experience using in the comments. We’ll also write our traditional report article with reports from actual users to let you know what’s really happening in this gigantic build.